Start No. 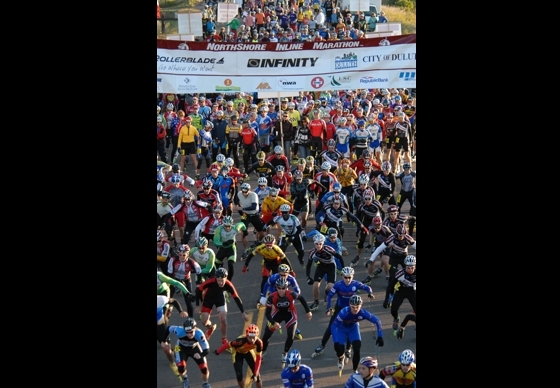 2 (of 11) - The second wave of skaters is set loose on the racecourse. 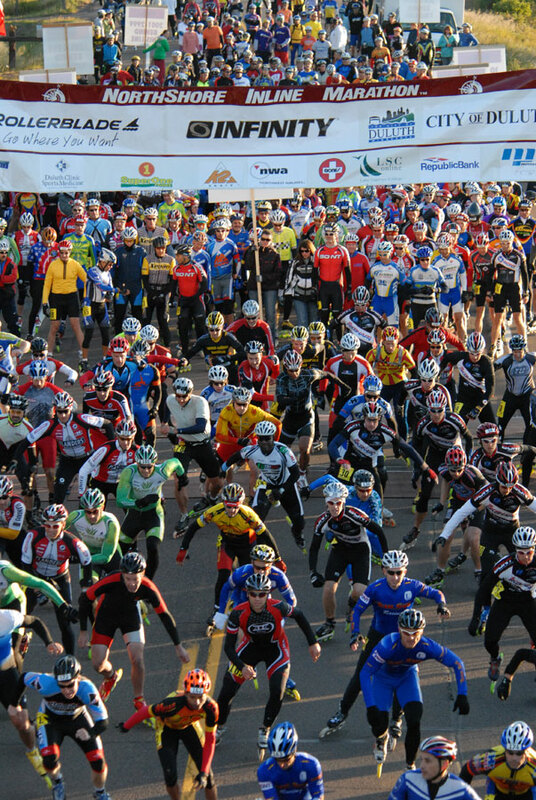 The wave is made up of elite men who chose not to compete in the top category and the master men, ages 35-44.